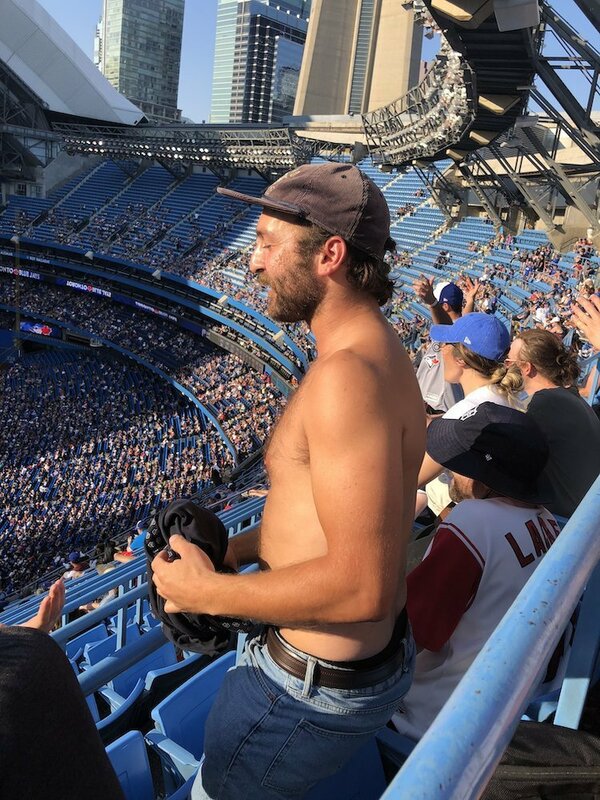 No, you can’t purchase a delicious can of Canuck Pale Ale at the ACC ScotiaBank Arena or an Octopus Wants to Fight IPA at the Skydome Rogers Centre. Same goes at BMO Field. It’s a sad reality. But you can find #FreshGLB close-by. 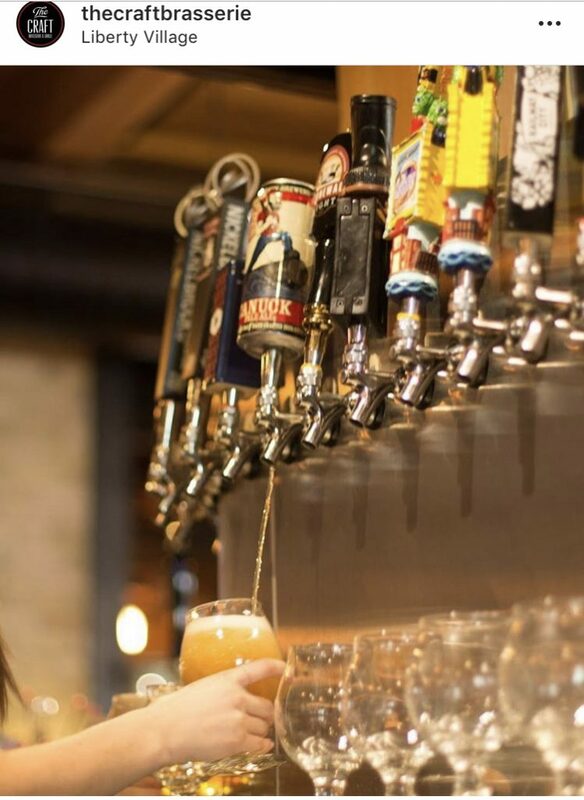 With the Jays season just kicking off and the Leafs and Raptors getting set for the post-season, check out the following Toronto bars located near the aforementioned establishments who support craft. Whether you’re heading to the game or looking for somewhere to drop into after one of our beloved Toronto teams win or lose (for a pint or six of locally made beer from right here in Etobicoke) have we got the spots for you! The Jays might not have a winning team this season, but that’s ok. You can cry in your beer at the Sportsnet Grill, which, conveniently, is located in the Dome! They proudly serve fresh Octopus Wants to Fight IPA (on tap) and the view of the diamond is pretty great. Over at King and Spadina sits a beauty of a location in Bar Hop. 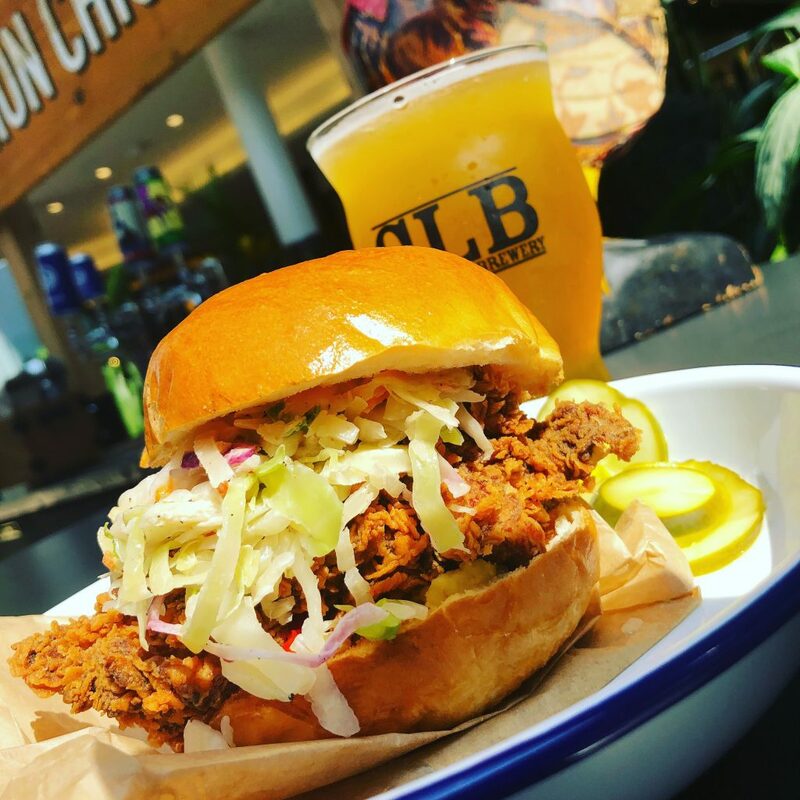 Find some fresh Canuck Pale Ale alongside a handful of other GLB brands on tap and get those fingers greasy with their amazing wings. If that location isn’t for you, head to Bar Hop BrewCo. for more seating, tv’s and rooftop patio views. The Leafs and Raptors aren’t the Wvrst anymore… get it! Wvrst (Sausage Hall and Other Wonders) has two locations – one closer to the Dome (King West), one right near the ACC Gardens ScotiaBank Arena (Union Station). Put back some duck fat fries with an elk sausage and some GLB and walk it all off with a trip to the ballpark. Order a pint of Blonde Lager at the cleverly named sports bar The Pint. 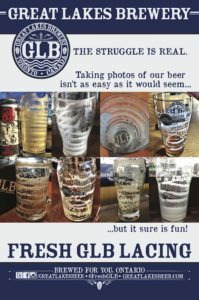 Just steps away from the Dome, The Pint has been pouring GLB beers since they opened their doors in 2018. A GREAT place to watch the Jays… or the Raptors… or the Leafs… or the… you get it, is Wayne Gretzky’s on Blue Jays Way. A two minute walk to see Sanchez fan a few, Gretzky’s pours a mean pint of Canuck Pale Ale! And you may get the chance to catch ol’ Wayner there too. O’Canada!! Swing by General Assembly for some jaw-dropping pizza. Pair it up with a glass of Canuck, which by the way, is delicious. You will love the scenic walk you’ll take from Belfast Love to the Dome. It’s beautiful – full of tall buildings. That being said, you won’t want to leave the bar that serves Octopus Wants to Fight. 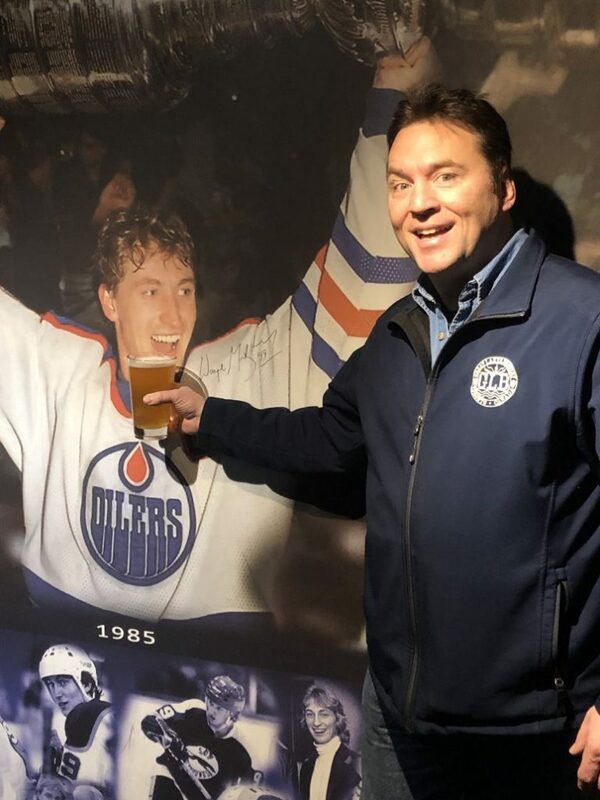 Almost as young at heart as GLB, C’est What at 67 Front Street East has been slinging pints since 1988, including many a #FreshGLB. Find our Tank Ten and 7 Barrel offerings and the occasional Canuck tap. If you are like us, you love love love fried chicken! If so, Union Chicken (Union Station) is a likely destination. Amazing food. Great beer (cough cough) and quick turn-around service. There are many big screens. 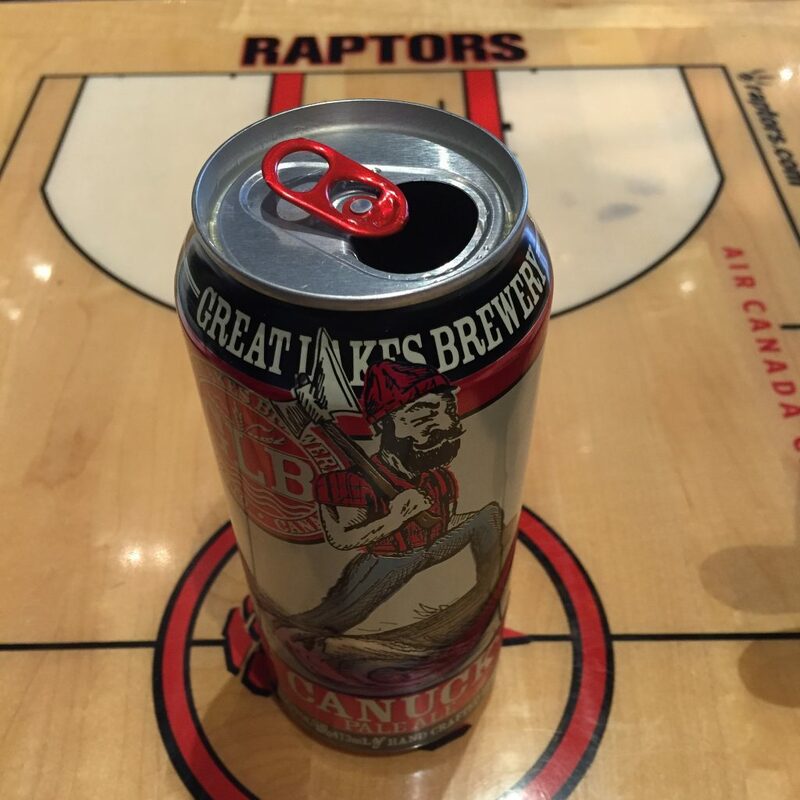 Super fans of all Toronto teams flock here to cheers one another with #FreshGLB. 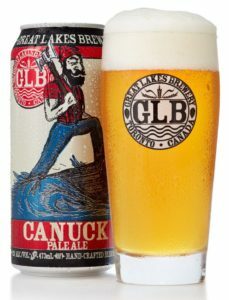 The Loose Moose routinely serves 3 plus GLB offerings – like Canuck, Octopus and Over My Dad Body Pilsner. Get there early as seats tend to fill up pre and post games. See Wvrst above. Their Union Station location has what you need for pre-game eats and drinks. Only an eight minute stroll from the entrance of the ScotiaBank Arena is King Taps. And King Taps knows craft beer. And King Taps knows sports. And Canuck Pale Ale is on tap. And the patio is killer. CRAFT Beer Market. Only an eleven minute saunter door to door, CRAFT pours fresh Canuck 7 days a week, 365 days a year. Grab cans of Canuck at Real Sports Bar & Grill and cheer on any of the Toronto teams you fancy… if you can get a seat. Drinking inside a grocery store is pretty great and it gets better when you add a meat and cheese board to go alongside your 20oz glass of Octopus at Longo’s (Corks). Just a minute walk from the ACC (dammit) ScotiaBank Arena. If you dig the aromas and flavours of our Over My Dad Body Pilsner, well, Otto’s Bierhalle on Queen West is for you. They are plowing through our German lager (with an American twist) and they have a tremendous food menu too. The 20 minute walk will help you burn off those delicious calories. Closer to the field is The Craft Brasserie on Atlantic Ave. Featuring 120 draught lines, which feature a number of GLB offerings, you’ll find what you’re looking for at The Craft… like fresh Canuck! School can be fun! It really can. Just a seven minute walk from BMO, School Restaurant always has fresh cans of Canuck and come summer, Sunnyside Session IPA. GLB and our bar and restaurant friends have you, our sports loving craft beer drinker, covered. 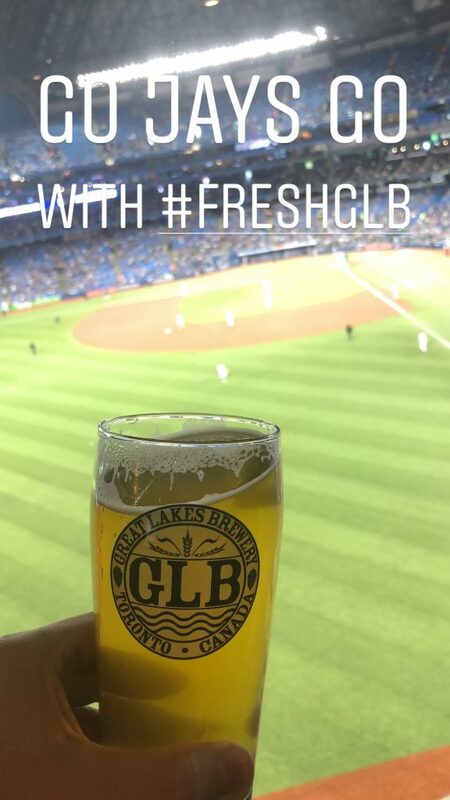 There are many places rocking the #FreshGLB, and win or lose, you’ll always win! If you and your family/friends are coming in from the west, pop into the GLB Retail store and taproom to sample any beer available in the fridge(s) or grab one of 12 options on tap. Live music on Friday evenings, food from The Wavy Wall Craft Kitchen (Thursday – Sunday), friendly staff, patio, dog friendly (cat friendly too..), and much more.